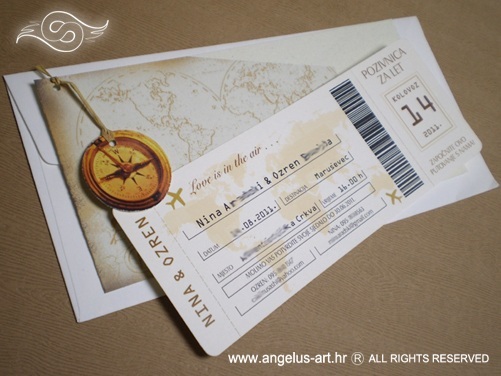 Style of the invitations can be customized to your needs and budget so you can choose between decorative details (hanging compass) and various envelopes (natural cover with printed maps or a classic envelope). 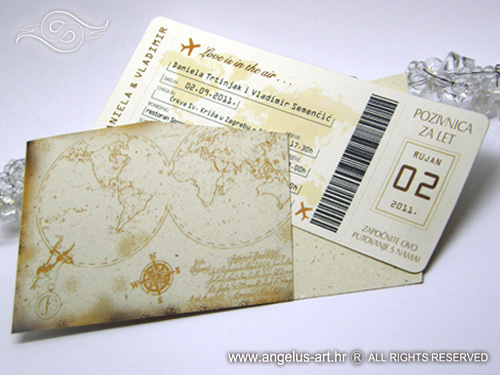 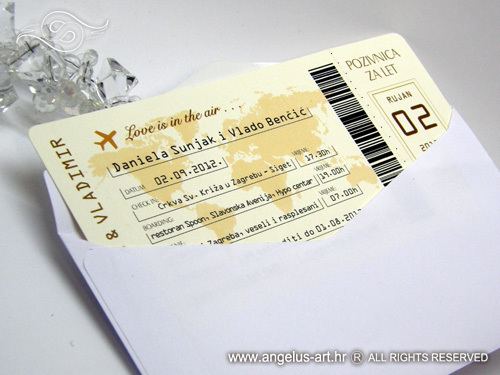 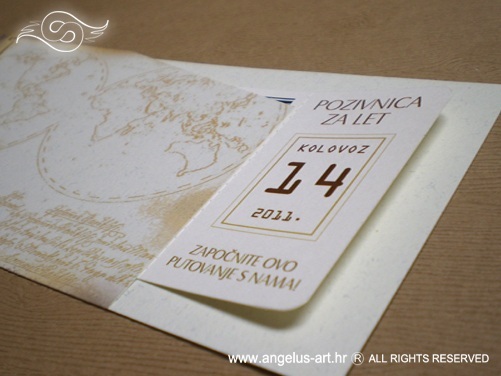 Boarding pass invitation will delight you and your guests with its simplicity and originality. 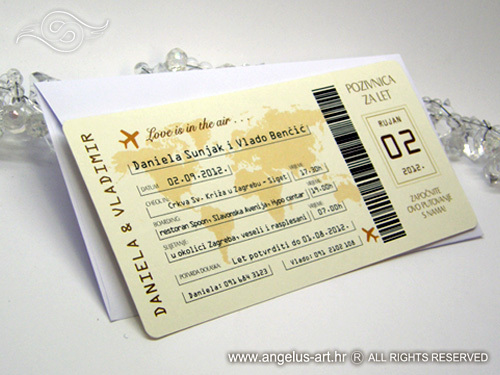 Browse these invitations and other similar products in the collection Travel.